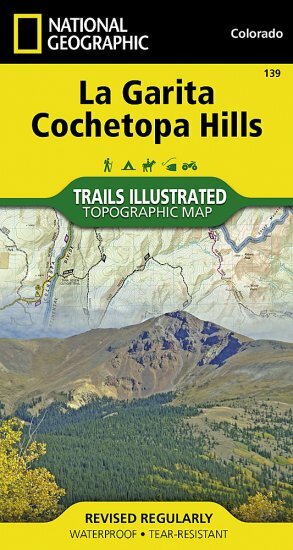 Trails Illustrated La Garita/Cochetopa Hills Trail Map [ti139] - $10.95 : Trail Explorers Outpost, Keeping the Adventure Alive! 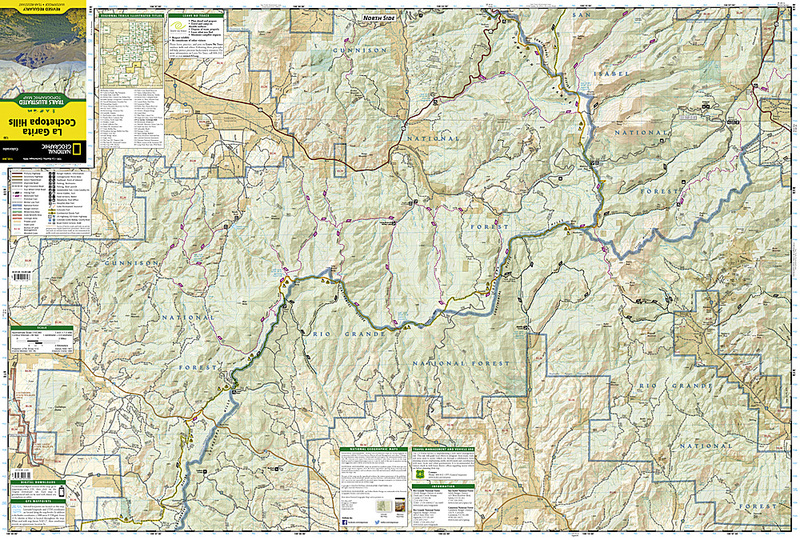 The La Garita/Cochetopa Hills Trails Illustrated map is the most comprehensive and complete recreational map for this tucked away corner of Colorado. 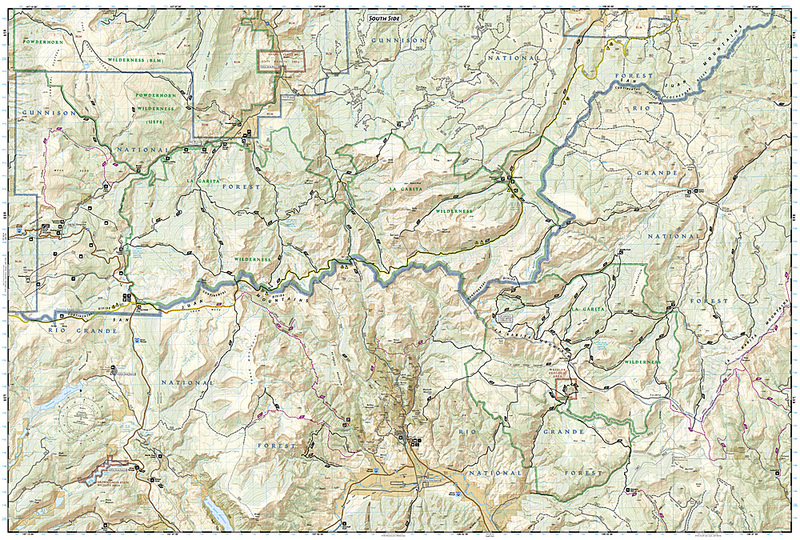 Coverage includes San Isabel, Gunnison and Rio Grande National Forests; La Garita Wilderness; Cochetopa Hills; Cebolla Creek State Wildlife Area; Dome Lakes State Wildlife Area; O'Haver Lake; Vouga Reservoir; Devils Lake; Saguache Creek; Black Mountain Lake; cities of Creede, Cathedral, Monchego Park. 14er: San Luis Peak, Monarch, Slumgullion, Cochetopa, Marshall, Halfmoon and San Luis passes. Jon Wilson Yurt, Rambouillet Yurt. Includes portions of the Continental Divide Trail and the Colorado Trail.